Have you started your holiday shopping yet? Could you use some extra cash during the holiday season? 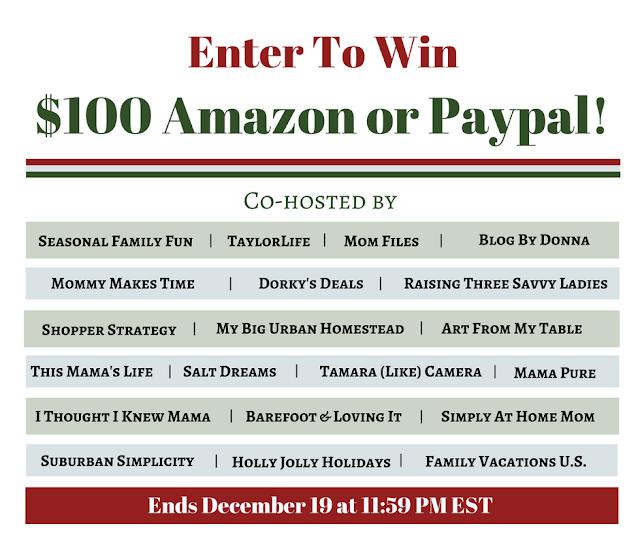 I have teamed up with some great bloggers for this giveaway. You have the chance at winning one hundred dollars. The prize is your choice. Amazon or Paypal cash. This giveaway has you visiting our Facebook pages as an entry. All liking is optional. Any likes or comments are always appreciated. This giveaway starts December 5th and ends December 19 at 11:59 PM EST. Open to residents of the USA, 18+. One winner will be randomly selected from all qualifying entries and contacted via the email they provide. The winner has 48 hours to respond or new winner will be chosen. The winner will be announced on the rafflecopter after they have responded. Thank you for entering. What would you do with the money if you won?